Economical, sustainable, and renewable commercial roofing, waterproofing and containment systems. Restore with a system that is even better than a brand new roof. Save the time and hassle of a full tear-off by having one of our dealers install the ProShield dual membrane system on your roof today! What you end up with is a thicker, tougher, longer lasting roofing system while also saving up to 50% of the cost of replacement. 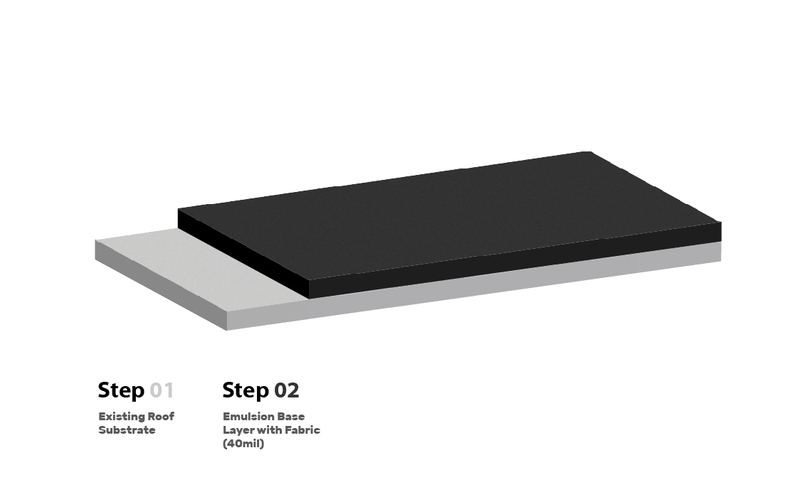 The ProShield roofing system gives you what no other coating system on the market today gives you. 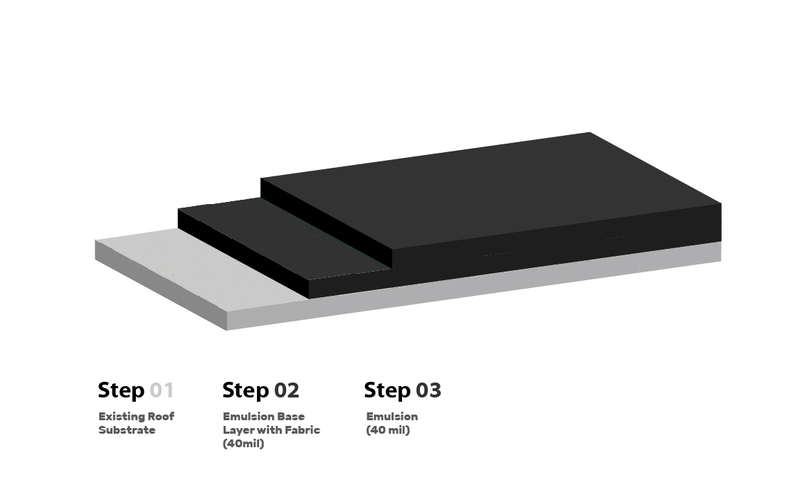 Our dual membrane system provides a total of 110-120 mil of waterproofing, which is double the average sheet product used today by traditional roofing companies. Our Urethane top coat is tougher and has better chemical resistance as well. Family-owned company with over 50 years of construction experience. Too many times we have seen other roofing systems fail for systemic problems in material and application process. For some reason these well documented flaws are accepted and the roof replacement merry-go-round just continues. Our goal was to create a system that will eliminate these failures, and create a long-lasting, economical, durable, easily repairable eco-friendly roofing and waterproofing system. 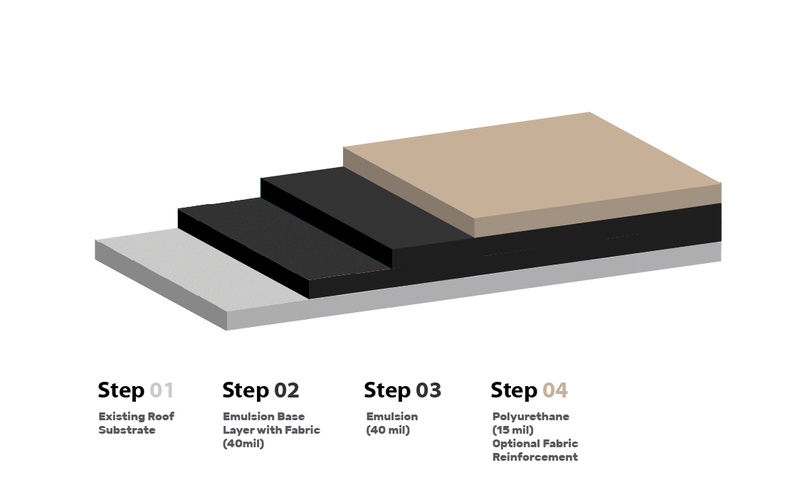 Our dual membrane systems is the common sense solution to over 50 years of roofing and waterproofing failures. Aside from the significant savings - there are many other advantages of the ProShield system. The removal and disposal of roofing materials is the #2 producer of solid waste in North America. ProShield roofing system is the best choice for restoring your aged and failing roof. By applying our Zero VOC cold fluid applied system to your existing roof, you eliminate unnecessary waste going to the landfill and save thousands of dollars. 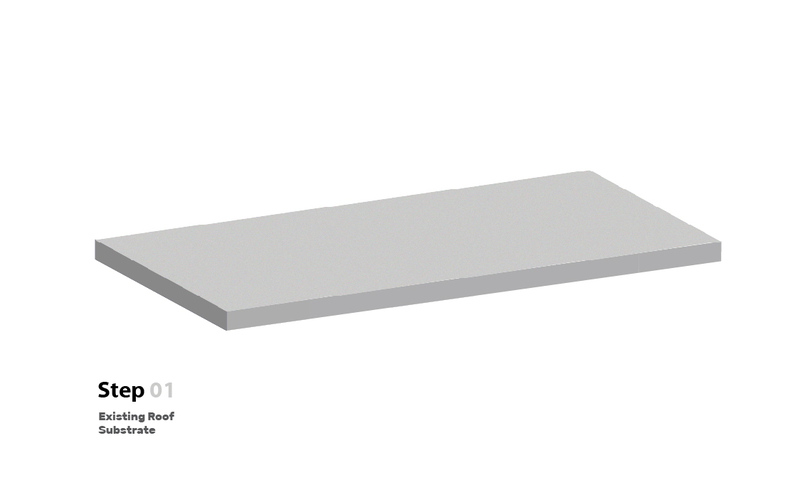 After applying ProShield, your roof will be durable, long-lasting, and will be a seamless waterproof system that is lifetime-renewable and environmentally friendly. Never a need to tear-off, and never a burden on the landfill. ProShield emulsion and fabric detail is used to repair and eliminate failure points. A 80mil layer of ProShield Asphalt Emulsion is reinforced with our high performance stitch bond polyester fabric, helping to restore waterproofing capabilities. A 30mil topcoat of super tough Polyurethane is applied, which must be fully compromised before the emulsion layers or the repaired roof waterproofing is completed. LIFE-TIME RENEWABLE with warranty extensions available. Our two-layer process has a Protective Wear Coat and a Sacrificial Wear Coat. When indicated necessary, the Sacrificial Wear Coat can be restored with an economical re-coat. The core waterproofing emulsion is never subjected to UV and environmental/chemical attack that naturally ages all other systems. ProShield addresses and eliminates inherent weaknesses: seams, penetrations and terminations, limited elongation and recovery, easily damaged, low chemical resistance, susceptible to UV deterioration, and most importantly redundancy. Our zero VOC cold fluid applied roof coating system with a lifetime renewable warranty is the smart choice! Not only do you save money and the environment, you also never have to worry about leaks again! Our zero VOC high elongation waterproofing systems are self-healing and self-sealing. We have the right waterproofing solution for your application. Our heavy duty containment solutions are custom tailored to meet the needs of the most demanding projects. If you need a primary or secondary liner installed we have a system that will exceed your expectations. Our 10 to 15 year warranty is simple and straight forward. No dollar limit, non-prorated, leak-proof warranty. Ponding water is not an exclusion. If our system is not the best solution to your waterproofing requirements we will gladly recommend a competitor’s product.